Original personal calling card bearing Zola’s name, 4 x 2.5, signed in black ink with a note in French, sending his sympathies and regret. 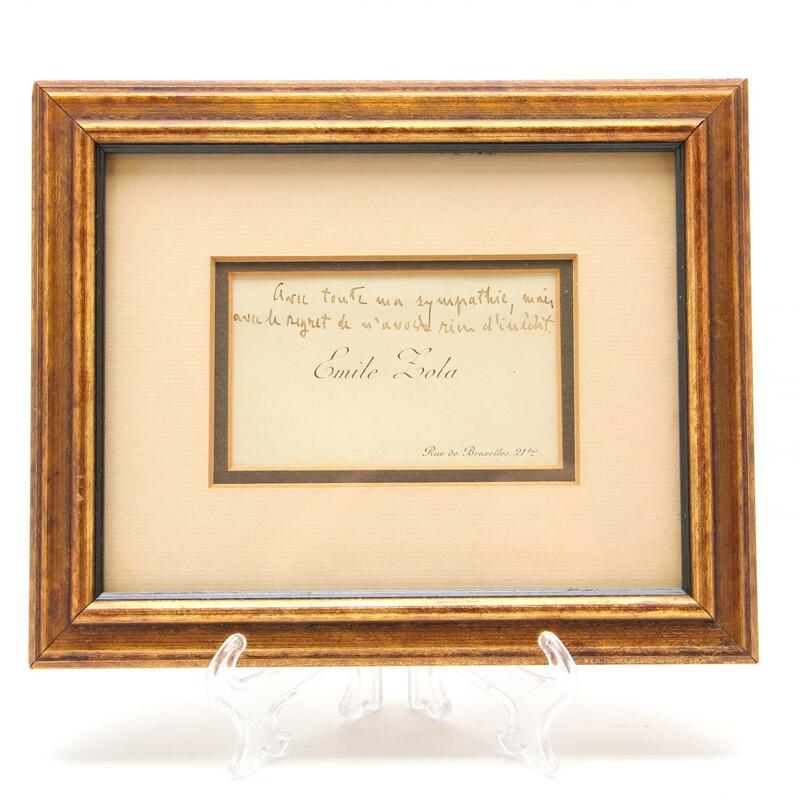 matted and framed In very fine condition. 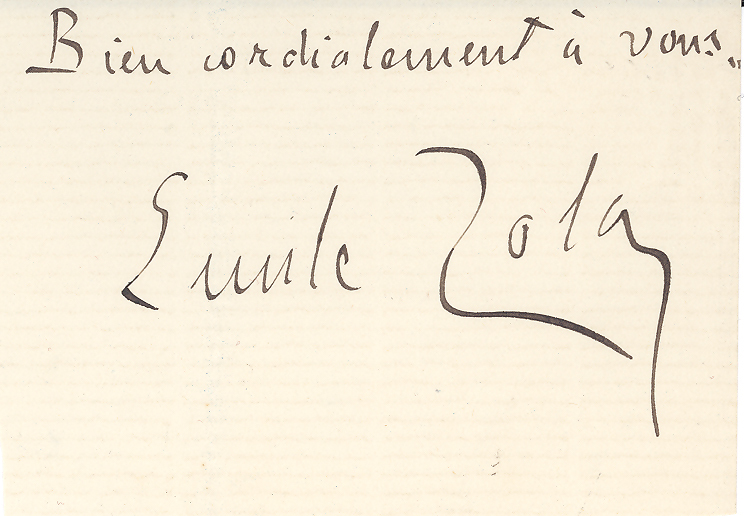 Also included is a large signature on a 3x4 clipped page from a letter with salutation.